Exploring Black British Performance Histories via Archives, Art and Heritage Education. This Black History Month sees the Trading Faces Recollecting Slavery Online Exhibition go live. Produced by Future Histories, the Online Exhibition uses the power of art and memory in performance using technology to explore old and new forms of human trade, resistance and creativity to develop a deeper understanding of slavery, its abolition in the past and its effects on the present. By promoting the use of primary resources for the study of black performing arts in the UK the Trading Faces Online Exhibition aims to stimulate creativity, critical thinking, individual responsibility and participation. Highlights of the exhibition include a performance timeline featuring newly archived material from the past 200 years, digitized and available online for the first time, there are also narratives of slavery from both the past and present and a series of virtual rooms which explore ritual, religion, carnival and masquerade amongst other aesthetic themes. The Trading Faces Recollecting Slavery project has also ensured that the post colonial legacy of Black British performance has been preserved for future generations at the V&A Theatre Collections and in a new online exhibition. The V&A Theatre Collections has organised, preserved and catalogued a wealth of material, bringing together Talawa Theatre Company’s archive and selected items from other Black British performing arts collections including; Temba Theatre Company, Black Mime and the Roundhouse providing a wide ranging insight into the enormous contribution made by Black British artists and performers since the abolition of the Slave Trade in 1807. Over the past twenty two years Talawa Theatre Company has represented the post-colonial heritage of Britain on stage with over forty ground breaking productions. Now detailed records of these productions are available to the public for the first time. This exceptional archive, charting the work of Britain’s foremost Black Theatre company currently holds 148 scripts, over 700 photographs relating to 32 productions and 29 visual recordings of live productions. Plays produced include The Black Jacobins by C. L. R. James and The Gods Are Not To Blame by Ola Rotomi. Talawa Theatre Company also toured a Theatre In Education piece, Missing, to London Schools as part of the project examining themes around identity and developing pupils’ research skills to explore the stories of local, regional and national Black Britons. 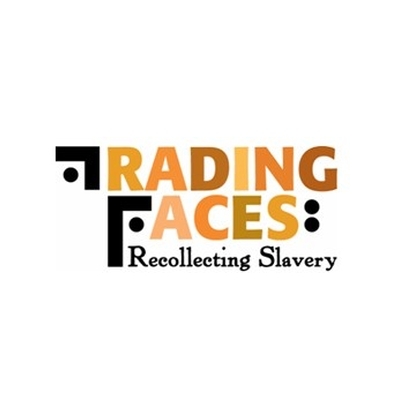 The Trading Faces Recollecting Slavery project launch takes place at the Lecture Theatre in the V&A’s Sackler Centre on 31st October at 1pm. The Trading Faces Online Exhibition goes live at www.tradingfacesonline.com on 31st October. The V&A Theatre Collections newly catalogued and collected material exploring the legacy of the transatlantic Slave Trade on British performing Arts and the Talawa catalogue is available online at www.nationalarchives.gov.uk/a2a with physical access to material available at the V&A Theatre Collections, Blythe House, 23 Blythe Road, London W14 0QX.